Do you have news, reviews or comments for 'Creed'? Ubisoft, the team behind 'Assassin's Creed Unity,' is willing to help with the restoration of Notre-Dame with its digital recreation of the cathedral. A question posed by Jemele Hill ended up with some great Twitter responses. Glass remained at the top of the global box office this weekend although the big story is that the "family friendly" version of Deadpool 2, Once Upon A Deadpool 2 opened big in China to push it back to number 2. Remaining at the top for a second week the M. Night Shyamalan hit film took $42.6 million from 56 countries, this boosts its total global gross to $162.6 million meaning it will soon to the directors biggest film. 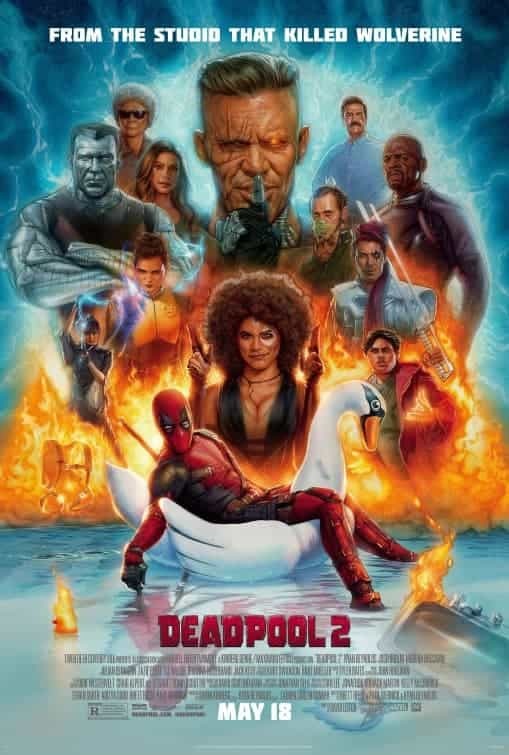 Released in much of the world over Christmas of 2018, hence the retitle to Once Upon A Deadpool 2, the re-cut version of the film hit China this week and $21.4 million opening, this takes the films total global gross to $767.6 million. The Chinese film was only released in the one terretory this week but still took $20 million taking it to number 3 on the global box office and the highest new film of the week. The DC film reached another milestone this week as it is now the top grossing DC film ever beating The Dark Knight Rises from 2012. A $15.1 million weekend from a massive 80 countries gives the film the fourth spot and takes the films total global gross to $1.09 Billion. The second Creed movie is doing better than the original movie and this week add $13.8 million from 45 countries to boosts its total gross to $190.9 million. There were no new releases on the US box office top 10 this week hence Ralph Breaks The Internet remains at the top of a totally static top 5. Five weeks on and the Dr. Seuss movie is still at number 2 with a weekend gross of $15 million which elevates its total to a very nice $223.2 million. The boxing sequel movie takes just shy of $10 million on its third weekend of release, the film has now take $96.1 million in total. Despite performing below par the Fantastic Beasts sequel movie takes $7 million on its fourth weekend to bring its US total to $145 million. The Freddy Mercury film takes $6.1 million on its sixth weekend of release for a good $173.7 million total gross. With little in the way of new releases the top spot remains the same as Ralph Break The Internet stays at the top, highest new film of the week is The Old Man And The Gun at number 7. Spending a second weekend at the top Disneys Internet inspired sequel movie takes £2.4 million to boost its total gross to £7.4 million. 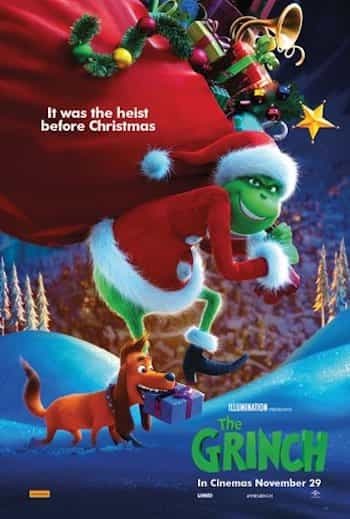 As we get deeper into the Christmas season audiences have started to take notice of the animated adaptation of the Dr. Seuss book. This weekend, its 5th, the film goes up to number 2 with a £2 million weekend boosting its total to £19.4 million. The boxing sequel drops to number 3 on its second weekend with a £1.7 million weekend to increase its total UK gross to £5.9 million. Hanging onto a place on the top 5 at number 4 this week the Wizarding World film takes £1.4 million over its 4th weekend, the film has now taken £29.2 million. Finishing off the top 5 the Queen film which has enchanted audiences and on its seventh week tales just under a million pound for a £43.9 million total. After 2 weeks at the top Fantastic Beasts 2 gives up the number one spot so Ralph Breaks The Internet can make its debut at the top. Making its debut at the top of the UK box office is Disney's latest film starring Wreck-It Ralph from the 2013 movie that bears his name. Also starring his best friend Venelope the film makes its debut with £4 million which is marginally lower than the originals debut in February of 2013. 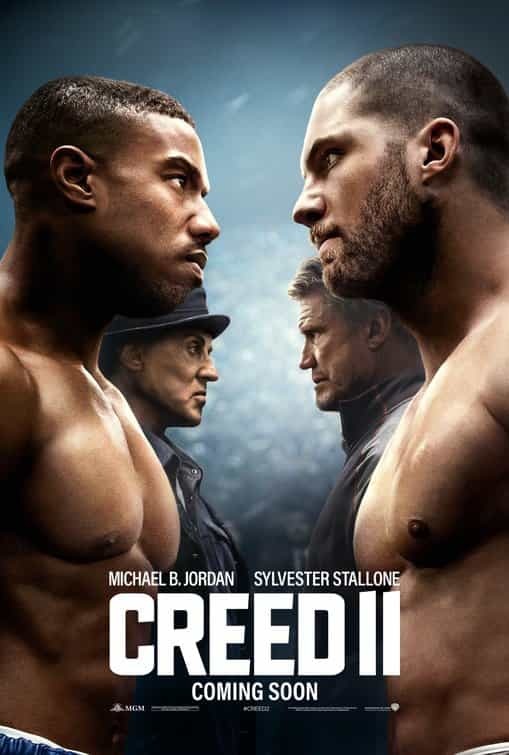 Also making its debut this week is another sequel movie, this time its the follow up to 2016's Creed which also starred Micheal B. Jordan and Sylester Stallone. Taking nearly £3 million on its debut this is above the debut of the original film which on to make over £5.5 million. Three weeks on and the Wizarding film falls to number 3 with a still respectable £2.7 million which boosts the films total to £26.7 million. The Dr Seuss animation takes £2.3 million this week to increase its UK gross to £17 million after 4 weeks of release. Finishing off the top 5 is the Queen bio-pic which this week takes £1.5 million. Six weeks on and tes film has now grossed £42 million which makes it the 5th top grossing movie in the UK for 2018.